At the back of the magnificent Basilica there is the Archconfraternity of the Holy Sacrament. The first documents stating its foundation date back to the XVI century when Minori had a Bishop's see. While the Basilica was being built, a small single nave church was made out on the existing absidal walls. The place became the seat of the Congregation, which in 1920 was raised to Archconfraternity by Archbishop Ercolano Marini. The life and actions of the brethen were constant until 1952, year in which were abandoned for unknown reasons. A marvellous journey through the material and spiritual culture of this congregation culminates with the celebration of the Holy Week, with the tradition of the Penitents. 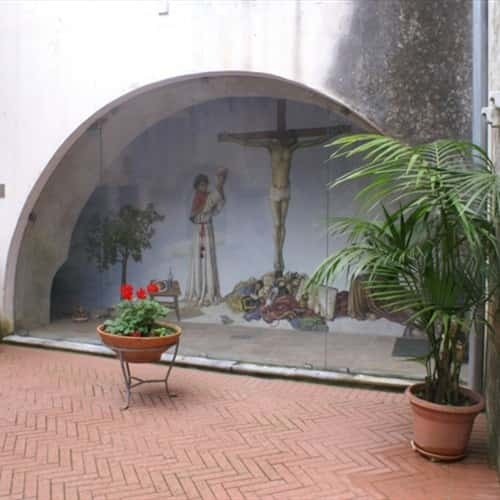 Minori, in fact, is the only place of the Amalfi coast which keeps intact the tradition of the "Songs of the Holy Week". The tune of the Penitents has centuries-old origins and hands on orally.